These earthy-coloured crayons are made with natural wax and mineral pigments. 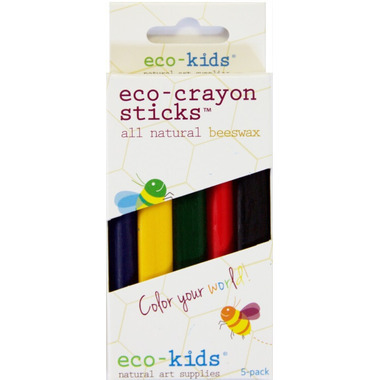 Includes 5 primary colours for your eco-kids' natural art supply collection. Recommended for ages 3+. Made in the USA.